Carnival Casino is designed to pass on the majestic and prestigious experience of a land based casino. Combining the magnificent style of Monte Carlo and the art of gaming, Carnival Casino guarantees an unforgettable gaming experience and invites you to sample The Royal Side of Gaming. 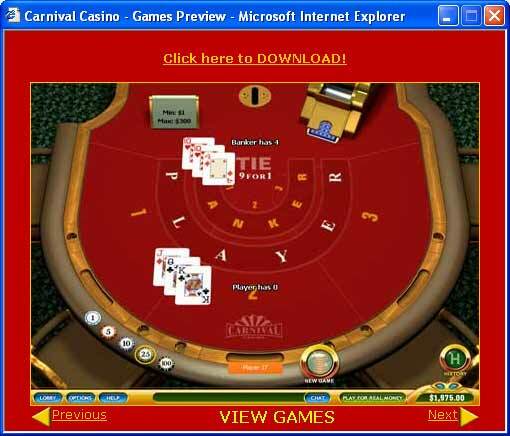 This game features many card games, slot machine simulations, video and table games ALL in ONE package. Best of all - it's ALL FREE!